A few days ago, I received a friend request on Facebook. In the PS, it said something like If you keep your Facebook strictly for friends and family – no bad feelings if you do not accept my friend request. – That got me thinking: Who do we connect to in which networks? Which networks do I use for which people? And in which networks can you really build relationships? 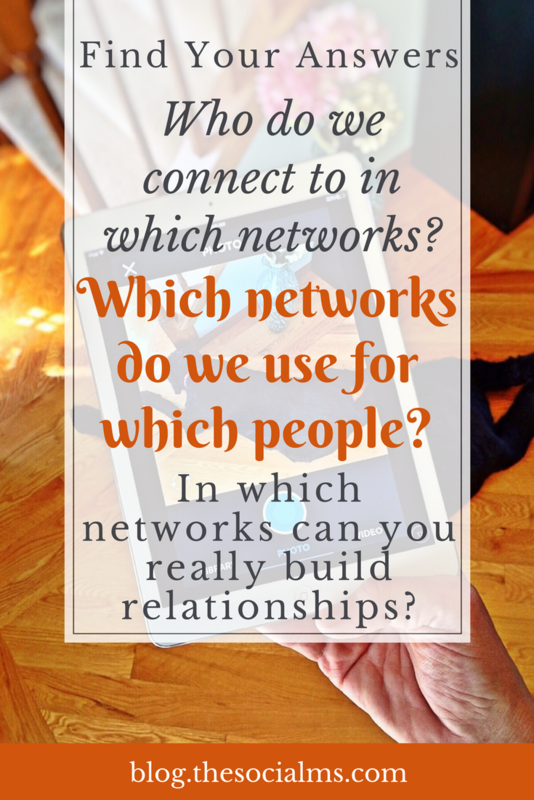 In which networks can you really build relationships? While I would not want to keep Facebook for friends and family, I actually am more restrictive to whom I connect to on Facebook than on other networks like Twitter. Between all the social networks I use, Facebook is the best to stay in touch, build relationships and connect with new people. This is true for close friends, as well as loose acquaintances – and even people I never met in real life. To whom do we connect in real life? I used to be a consultant, traveling from client to client and spending most of my weeks in the company of colleagues and customers – most of these weren’t my closest friends. The people I built a personal relationship to during these years were not the ones I spent time with in meetings and workshops – it were the ones I spent additional time with during a shared lunch, played a game of kicker during coffee break or even went to have a beer with in the evening. 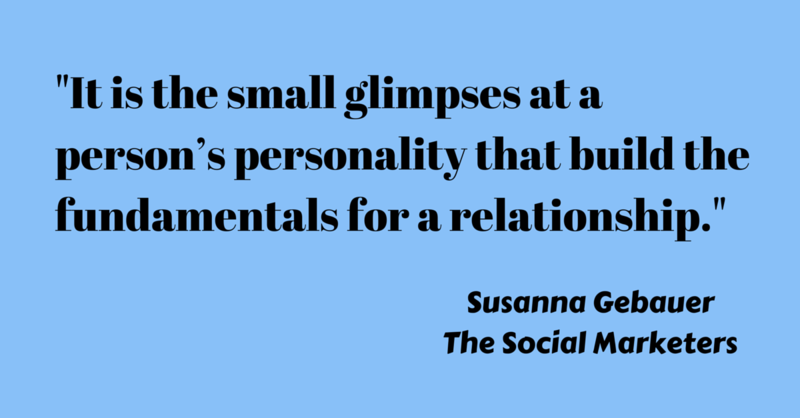 It is the small glimpses at a person’s personality that build the fundamentals of a relationship. It is the small glimpses at a person’s personality that build the fundamentals of a relationship. How can a relationship ever be more than a loose acquaintance if you do not know anything about the other person – apart from the job description or resume. That is what makes Facebook perfect to really “connect” to people, as we share little bits and pieces of our life that show our personality and allow for easy and non-intrusive form of interaction via likes and comments. The following is a very personal description of how I use different social networks. From my point of view everybody will have a different story to tell of how the networks work for him/her. The goals we have, out personalities and the influence we already have achieved, all of these influence how we use the social networks and with which networks we are the most comfortable. Most of you know that I am really active on Twitter. I have had some really nice conversations on Twitter, and a while back I managed to connect to some people there and transfer the connections to skype or email. But to be honest, even though I try to respond to mentions and replies – I lost track of my following somewhere between 20.000 and 50.000 followers. And there are so many conversations going on that it is hard to remember who I talked to – apart from 140 characters being really not much to learn about personality. Yes, I can build lists, but even keeping track of lists rather turned out to be a lot of work with only little connections. You want to connect with me on Twitter? Feel free, but keep in mind that you are competing with the voices of almost 160k other followers. If you manage to catch my interest on Twitter, I will rapidly try to move you into another social network, as I will lose the connection sooner or later otherwise. Sorry – but that is how things work with Twitter accounts like mine. I used to be active in LinkedIn groups for a while. My purpose was not collecting contacts, but raising attention to our publishing platform exploreB2B, which was very successful for a while. I ended up with almost 1000 contacts on LinkedIn – not overly many, looking at some of the profiles on LinkedIn. Only, with most of them, I cannot even remember which group we shared or if we ever actually talked. People on LinkedIn often simply sent me a contact request, without ever connecting. I guess there are LinkedIn groups where people actually build relationships via group discussions and interaction. The groups I was actively taking part in in the discussions were trying to restrict spam and promotional content, resulting in rather superficial and purely professional conversations. I think this is not helping to build real relationships. Even though I might be looking for information in these groups, I still want to connect to real people and not just to expertise or knowledge (the person behind the information is important!). Even though I can find out a lot about a person’s professional life on LinkedIn, for a relationship, even a professional relationship, I need more. Trust requires personality and the purely Exchange-CVs-approach of LinkedIn is hindering me in building meaningful business relationships on it. I love Pinterest, to me, it is like a never-ending magazine, where I choose the topics and the pictures. If I do not like one of the featured stories, no worries there are millions of other stories I can take a look at. But to be honest, I do not think I have made a single personal connection to anyone on Pinterest, yet. I love the content some of the people share, I repin, I like, I learn and I click – but I do not connect. I do not think I have made a single personal connection to anyone on Pinterest, yet – Have you? Jonathan keeps saying: Google+ is still relevant for marketers, as it contains tons of marketers who are marketing to marketers. I like Google+, I not only discover a lot of interesting (marketing) content on G+, I also found that it is one of the few networks where you can really talk to influencers and (sometimes) get an answer. But again, I personally do not really connect to people or rather personalities on G+. This might be different when using groups and hangouts. But usually the people on Google+ share business related stuff. Checking my stream I do not have any personal information there, leaving me with the content and information shared, but no “people” to build a relationship to. 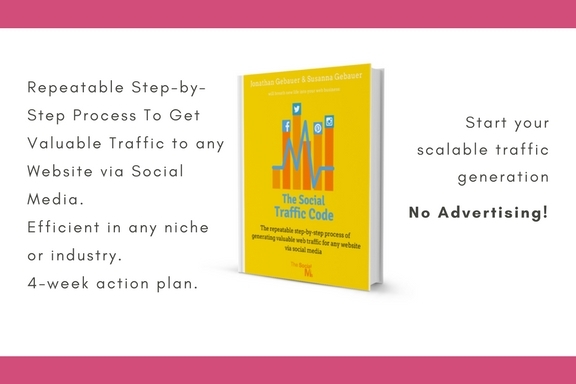 Do you want to know how to build a social audience and generate reliable Social Media Traffic?! 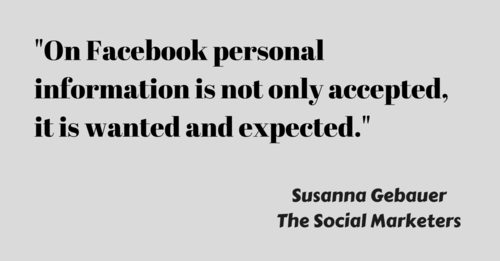 The simple reason may be that most people, who use Facebook, share personal information – some more, some less and on Facebook this personal information is not only accepted, it is wanted and expected. And it helps to build real connections with people. I recently got a recipe for a pumpkin pie directly from Los Angeles; sent from a Facebook friend whom I got to know because she published an article on exploreB2B. We later connected on Facebook and realized we share a lot of interests like dogs, nature, and baking. I cannot think of any other network where I have made connections like this. We never met in real life – but we have built a relationship. 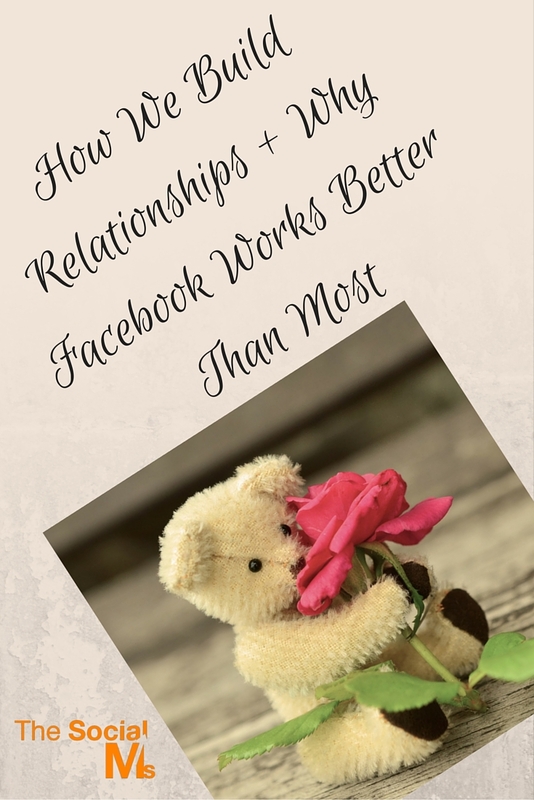 We never met in real life – but we have built a relationship – That is Facebook! Facebook seems to know this makes them special and sets them apart from any other network out there. Facebook gives you a unique set of tools to conquer the never-ending stream of mixed information and updates: You can sort your friends into lists (i.e. interest groups). Which then allows you to share your updates with exactly the people (on a list) they are meant for, without annoying your real-life friends and family with millions of business related updates or your business contacts with photos of your recent family outing. This also allows you to follow your friends by lists, getting exactly the updates you want to see. No need to leave Facebook strictly to friends and family this way. Facebook already has the tools in place to allow you to use it for business and friends parallel. Facebook focuses on letting you see the exact information you want to see at a specific moment. And share information with exactly whom you want to share it with. It might stay ahead in this aspect for a very long time.